For many companies, planning and executing a marketing campaign is like hacking your way through the jungle. There are so many issues, technologies, strategies, tactics, metrics, and best practices to consider before running a campaign that it’s easy to lose your way—or even worse, get stuck in a bad situation. Online reviews firm Software Advice commissioned a report to examine just how well (or poorly) businesses are handling this situation, and what value campaign management software can offer to beleaguered marketers. 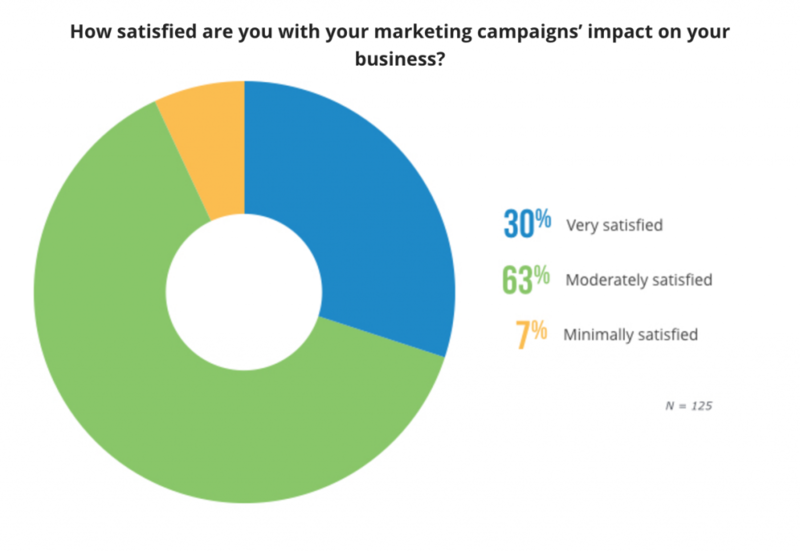 The report uncovered many insights, such as a great emphasis on digital and online marketing among businesses, which was fantastic, but contrasted sharply with a disturbing gap in how businesses managed and analyzed the data these campaigns generated. We recently had the opportunity to speak to Andrew Friedenthal, marketing campaign analyst for Software Advice, to discuss the report and the discoveries they made in more detail. 1) What’s the most popular type of marketing campaign, currently? According to our survey, social media marketing campaigns and more general “internet” marketing campaigns are currently the most popular types of campaigns with marketers. Our results would indicate that the most popular forms of marketing today take place online, attempting to reach customers on the social media platforms and other websites where they spend large amounts of their time. 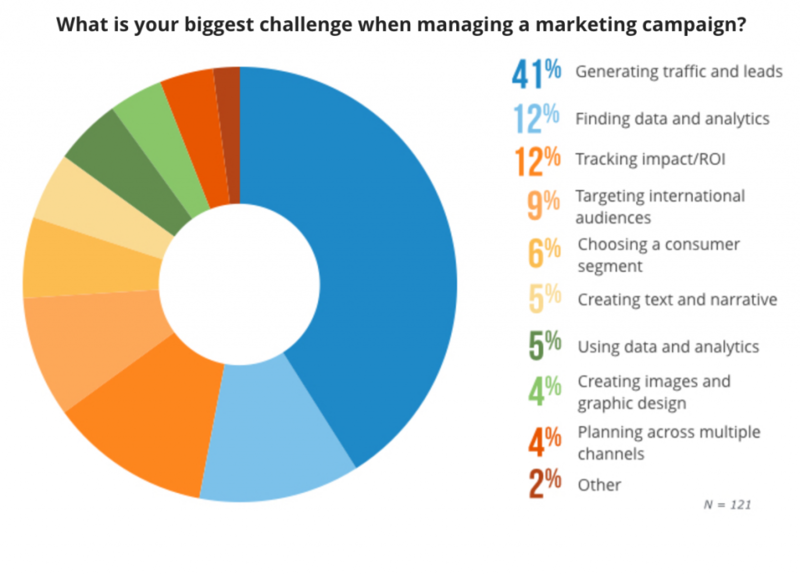 2) What do marketers find to be their biggest challenges when launching and running campaigns? The number one challenge for our respondents was “generating traffic and leads.” This makes sense; it’s a classic problem for marketers which hasn’t changed with the advent of internet marketing. 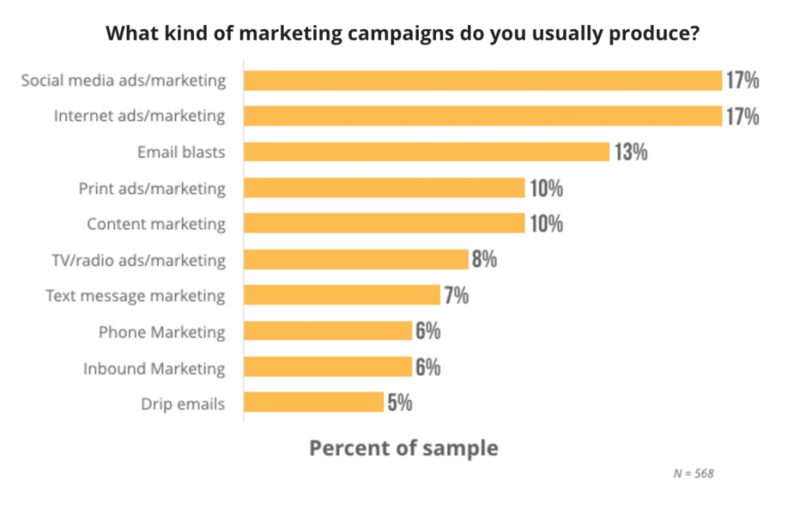 3) What role does data play for marketers attempting to manage their campaigns? Data is crucial for marketers, because it lets them know what is and is not working in their current (and previous) campaigns and allows them to adjust for the future. It is the data that will allow marketers to know what kind of campaigns generate the most traffic, and then to reconfigure their efforts to reach that target with future campaigns. 4) How can marketers track ROI for their campaigns in order to judge what to do in the future? So much of marketing today all comes down to software, and that’s no different in relation to ROI. Marketers need to find a reliable marketing software system that will allow them to track all aspects of their marketing campaigns, from beginning to end, so that they know how much they’re spending and how much they’re getting in return. 5) How can utilizing marketing analytics and campaign analytics create stronger, more successful marketing campaigns? Successful marketing campaigns don’t arise from just anywhere. They’re built on learning from both the successes and failures of the past. However, it’s vital to know why past campaigns have either succeeded or failed, and that’s information that marketing/campaign analytics can provide. A deep-dive into that analytical data can point out what makes the difference between high and low ROI, and thus show the way towards successful future campaigns. Campaign marketing software is not an absolute requirement for marketers—people ran successful campaigns long before technology got to its current level. But for businesses that need to maximize every marketing dollar and every moment of their resource’s time, you need a tool that will be able to cut through the tangle of data and expose a clear path to effectively connecting with customers.